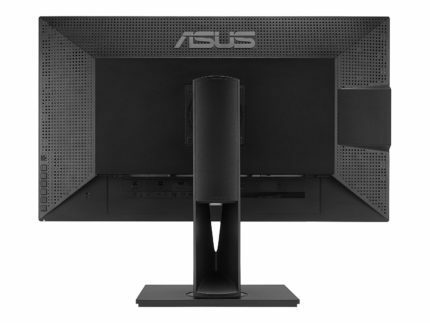 The ASUS PA328Q is an IPS panel monitor aimed at the professional designers that rely on color accuracy, extensive connectivity, and high screen resolution. This photo-editing monitor also packs a plethora of exclusive features ideal for multi-tasking activities and custom calibration. It isn’t cheap, but then again, it’s intended for the high-end professionals. 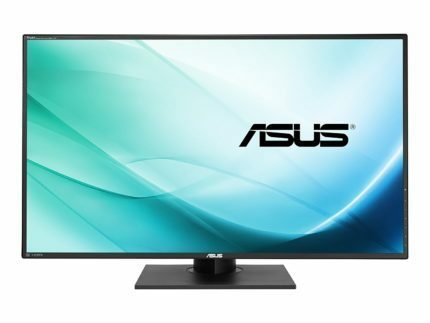 The ASUS PA328Q display features an AHVA IPS panel developed by AU Optronics which ensures the perfect 178-degree viewing angles, impeccable color accuracy, and solid 6ms response time speed for imperceptible ghosting while working. The panel is factory-calibrated to Delta E below 2 for professional-grade color accuracy for sRGB and Rec.709 color spaces. 4K UHD resolution offers spacious real estate as well as highly detailed image quality due to the rich pixel density of 137 pixels per inch. 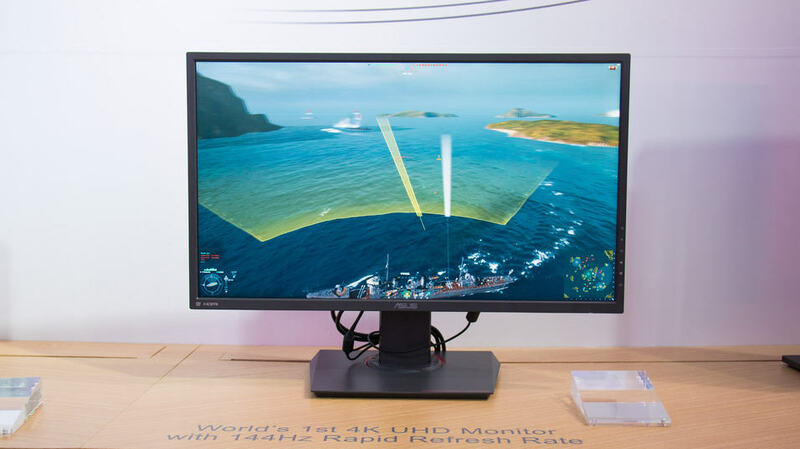 Besides the excellent color and grey-scale performance, the ASUS PA328Q IPS monitor features 12-bit Look-Up Table and 10-bit color support through dithering (8-bit + FRC). The Uniformity Compensation feature ensures brightness and color uniformity across the entire screen, at all times. Thanks to the flicker-free screen and low blue light filter aspects of the ASUS Eye Care technology, the ASUS PA328Q PC monitor allows for hours of working without causing you eye fatigue. Moreover, it features pre-calibrated picture presets which you can easily change via the hotkey on the monitor. These presets include well-optimized picture settings for different scenarios such as Scenery, Reading, Darkroom, sRGB, two custom modes, and the standard mode. To make full use of the extensive connectivity ports, you can use the Picture in Picture or Picture by Picture modes to effortlessly view images from other displays. In addition, the QuickFit feature allows you to place a virtual scale on the picture and use it to format documents, images, and other files. Available grids consist of common A3, A4, B4, B5, and letter formats as well as 4×6, 3×5, 2×2, 8×10, 5×7 for photos. The OSD menu is navigatable via the 5-way joystick placed at the right side at the back of the monitor. Below the joystick, there are six buttons – the bottom one is the power button. The first button below the joystick is used to close the OSD menu, the next one – to quickly access the Virtual Scale feature, and the following two are shortcuts that can be assigned to certain functions in the OSD menu. Under the system settings, you can enable the ECO mode though the ASUS PA328Q has a low power consumption of around 53W. Image settings allow you to adjust picture sharpness, enable the Trace Free technology which increases the response time speed, use the Aspect Control (4:3, 1:1, and OverScan aspect ratios), enable the dynamic contrast ratio (100M:1), and activate the Uniformity Compensation. Color settings consist of adjustable brightness, contrast, 6-axis hue and saturation parameters as well as red, green, and blue gain and black level offset configuration. These are only adjustable in the User 1 and User 2 presets while other picture presets have already optimized settings. Lastly, there are four different color temperatures to choose from including 9300K, 6500K, 5500K, and 5000K. The ASUS PA328Q design consists of a stylish black cabinet with 0.25-inch thin bezels and anti-glare matte screen coating. The ASUS PA328Q monitor won the Red Dot Award in 2014 for its prominent design. It’s as versatile as it’s pretty since it includes full ergonomic support which involves VESA mount compatibility with 100 x 100 holes, 130mm height adjustment, 90° pivot, -5°/+20° tilt, and 60° swivel to the left and right. The connector ports include two HDMI 1.4 (4K at 30Hz), an HDMI 2.0 with MHL 3.0 support for seamless content streaming from a compatible device, a miniDisplayPort 1.2, a DisplayPort 1.2, four downstream USB3.0 ports, an audio line-out, and an audio line-in for the 2x3W built-in speakers. The ASUS PA328Q price amounts to $928 at the moment (July 2017). It’s a generous price drop from its original $1,300 price when it was released. 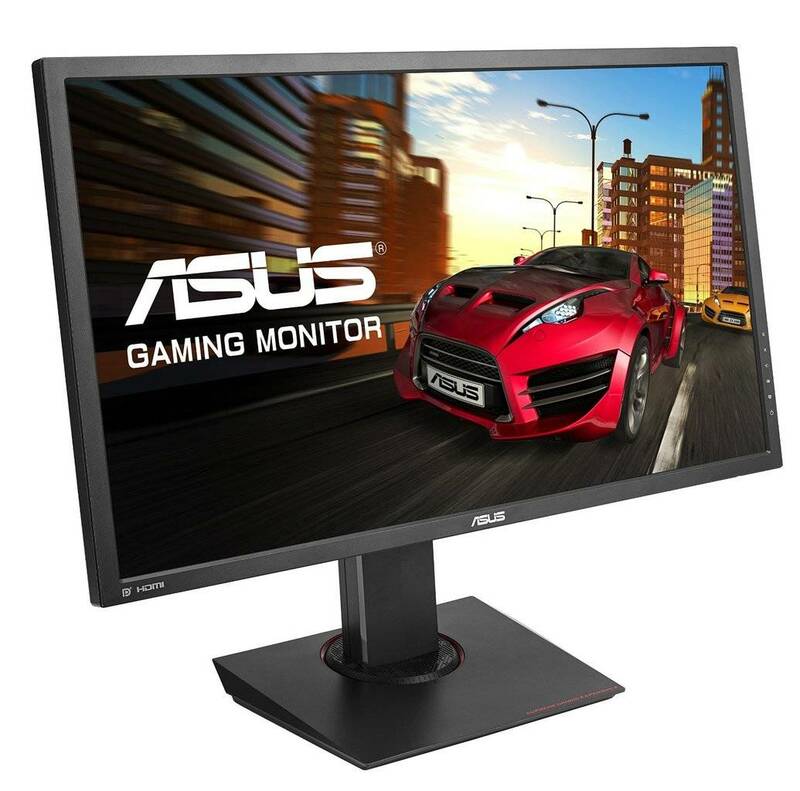 In short, the monitor offers everything a professional designer may need including 4K resolution, precise and consistent colors, a huge screen with an awesome design, and plenty of exclusive features. 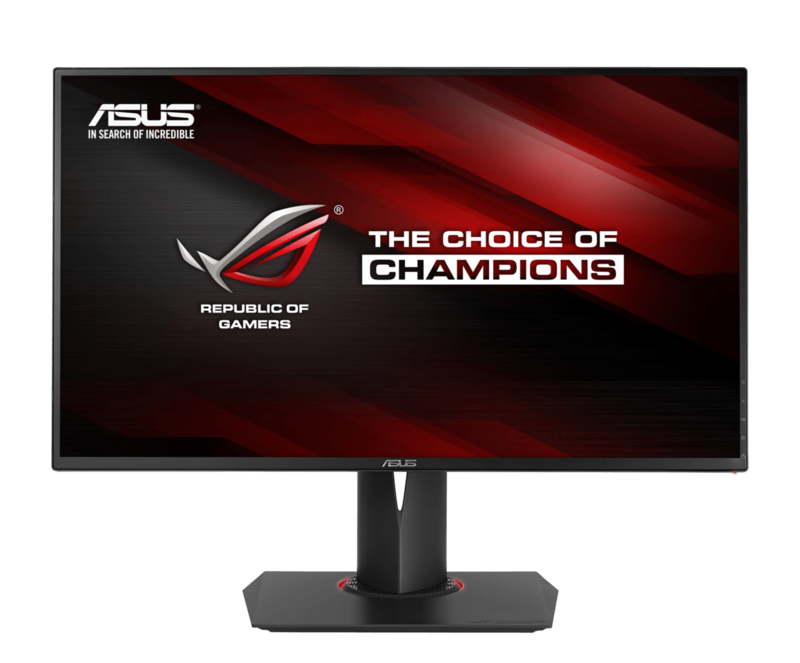 There’s also a more expensive version of this monitor, the ASUS PA329Q, which is suited for the Adobe RGB color space and hence costs more. For the not-so-professional but aspiring artists, there’s the ASUS PA248Q with 1920×1200 resolution and factory calibration to Delta-E < 5. It’s available for $300 but it has a 24.1-inch screen. If you’re looking for a more everyday kind of display at this price point, check out the best 4K monitors currently available, while gamers can have a look at our gaming monitor guide. The ASUS PA328Q 4K monitor delivers everything it promises: stellar screen resolution with accurate and consistent colors and brightness across the entire display. In addition to its stylish and practical design, extensive connectivity, and numerous useful features including advanced color adjustments, the monitor is perfect for the high-end designers who rely on sRGB color space. While it’s clearly not a gaming monitor, video games look particularly awesome on the display due to the high resolution and rich colors. Although its mediocre 12ms input lag and 6ms response time is nothing extraordinary, especially at this price point, it’s more than enough for fascinating graphics in video games and viable gameplay. The ASUS PA328Q offers everything a professional designer may need: factory calibrated panel with accurate and consistent colors, 4K UHD resolution, and plenty of exclusive features including advanced color adjustments in the OSD.